An intimate portrait of an everyday genius. Alexander Master's landlord, Simon, lives in the basement of their Cambridge house. Between teetering towers of outdated maps and slagheaps of plastic bags, Simon eats endless meals of tinned kippers and plans trips on the Cambridge public transport system. But Simon was one of the greatest mathematical prodigies of the twentieth century. He spends his time between train journeys working on a theoretical puzzle so complex and critical to our understanding of the universe that it is known as the Monster. 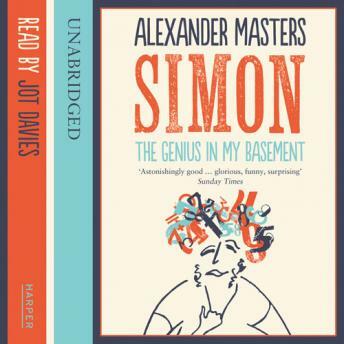 Poignant and comical, 'Simon: The Genius in my Basement' is about the frailty of brilliance and how genius matters very little in the search for happiness.